Тhe original OnePlus One launched at $299 and was an incredible value for its money then. Granted, flagship prices hadn't crossed the $1000 mark at the time, but still. The OnePlus 6T, however, started at $529, which was in its turn a price tag higher than that of its predecessor. We already noted that the 6T might have the largest retail and carrier presence for a OnePlus phone yet, and that could reflect on its pricing, as the selling, general and administrative costs would inevitably increase, too. Well, today's OnePlus 6T leak details all of its eventual at-launch storage versions and their pricing, so let's see if it is indeed more expensive than the OnePlus 6 again. The prices are leaked courtesy of an Indian retailer, so they are in rupees and we'd have to compare to the OnePlus 6 launch prices in India then. 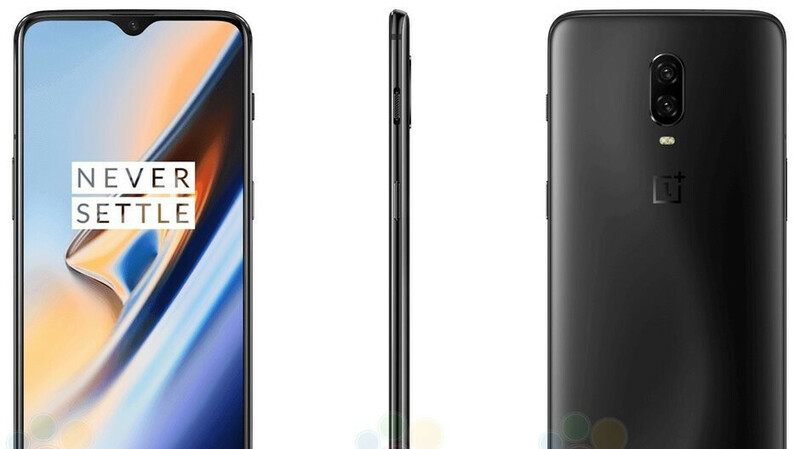 The OnePlus 6 was launched there in May 2018, starting from Rs. 34,999 (~$477) for the base model. This is lower than the leaked Rs. 37,999 (~$518) base price for the 6GB/128GB OnePlus 6T, and is maybe a harbinger of higher prices in Western markets, too. The other two variants, with 8GB RAM and 128GB/256GB storage, are more expensive, too, compared to similar OnePlus 6 versions, at Rs. 40,999, and Rs 44,999, respectively. Should the OnePlus 6T be priced higher, the honeymoon with Western users could be over and they would have to demonstrate they like the brand for the overall package on offer, rather than the rock-bottom pricing only. If we extrapolate from the leaked price bump in India, the OnePlus 6T in the US could still land below $600 for the base model, which is pretty good for what it will offer, compared to some other flagships out there. With Apple, Samsung, Huawei, Sony launching phones with prices starting $1000/1100+ and PA being uncomfortably silent about that, i don't get all this fuss about 6T being most expensive! What did you expect? That they will decrease prices with Hardware Upgrade? Has any manufacturer done so? Anyways, 6T will still start around $560 and that includes internal memory jump from 64 > 128gb. So actually it isn't a price jump. In OnePlus 6, the variant with 8GB ram and 128GB storage was anyways costing ~ $560. Also you can't just can't convert Indian prices to Dollars and compare them worldwide. When OnePlus 6 launched, it costed $529 in India too but at that times' currency rates. After that Dollar has appreciated compared to Indian Rupee quite a bit, due to which now after conversion, price in Indian Rupee seems less to others but doesn't matter to us Indians because we still have to pay the same. Seeing the leaked prices, i think 6T will start at ~$560 - 570 while the top most model still costs the same as OnePlus 6. All in one, it's not a price hike but rather the memory configuration of top model has been brought down to the base one in 6T. "the OnePlus 6T in the US could still land below $600 for the base model, which is pretty good for what it will offer, compared to some other flagships out there." Try reading the whole article, they're still giving OnePlus credit for their pricing. And LG G8 and V50. Wtf!? Who wrote this article??? There is so many mistakes and weird sentences in it. Looks like it is done with some AI and Google translate. Don't PA have editor??? One thing is when some of readers write from (since not everyone has English as 1st language), but official post/article....that is just wrong. Good that base variant is coming with 128GB storage.Little price hike is not at all an issue, imho. But I will still NOT buy it, as it lacks 3.5mm jack and tiny 3700mAh battery. Oh so 3700mAh is tiny now. Great days! It's like a $14 increase in price (variant to variant). Not sure what you are complaining about. The Mate 20 pro will cost twice this amount. It's a better phone, but are you willing to pay twice the amount for EMUI, slower updates, and locked bootloader? Ignore this comment. Not sure why PA posted it twice.